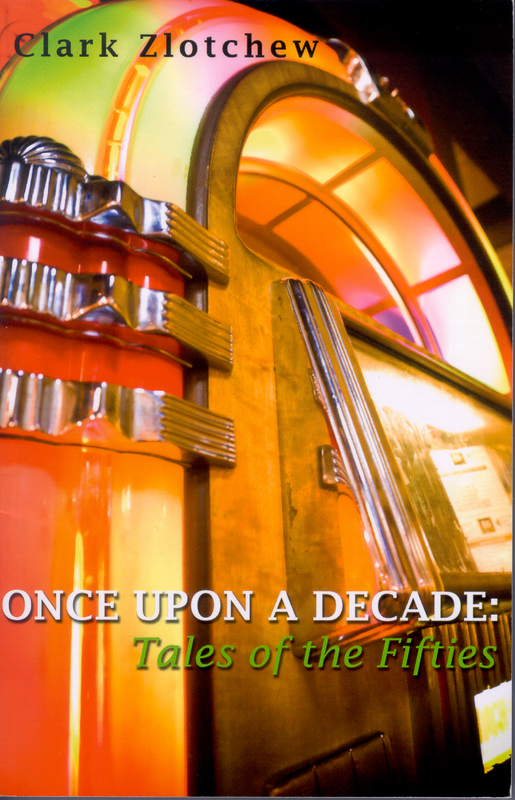 Once Upon a Decade: Tales of the Fifties was Finalist in the Next Generation Indie Book Awards, 2011. contains 17 stories against the background of the 1950s in a variety of situations: man with a tortured psyche keeps a pink teddy bear on his food tray as he watches the Olympics on television. waitress in New Jersey puts a curse on a sailor; his behavior becomes increasingly more irrational. Two shipmates learn firsthand about segregation in 1950s Savannah. A timid adolescent suffers the pangs of unrequited love. A sailor who wants no more complications in his life falls in love with a young prostitute in Cuba on the eve of the Castro Revolution. An academic meets Jorge Luis Borges and uncovers the mystery of an American writer with three different names. The seventeen narratives of this collection deal with love and death, triumphs and defeats, adolescent angst and the tension between ethnicity and assimilation against the background of the 1950s. Some present adventure on the high seas as well as a glimpse of Havana night life on the eve of the Castro Revolution. The stories were written separately, one by one. I came to the realization that some of the reactions, events , descriptions and attitudes could only happen before the late 1960s, most typically in the 1950s. Ironically, more of these stories were published in my Spanish version than in my English versions. 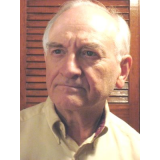 Below is some background on individual stories: The stories that take place at sea and in Savannah, Georgia and Havana, Cuba, are based on my experiences with the Naval Reserve at sea and in those cities in the 1950s. On one of the more interesting days I was on Shore Patrol in a bar/brothel in Havana; the story “The Smell of Land” is based on the activities in this bar. Our main task was to keep order, stop fights and prevent property damage. The Navy had an agreement with the Cuban Government in which our Shore Patrol would handle problems with our own Navy men, and the Cuban Police would keep hands off. There was a desk at the Central Havana Police Station reserved for the U.S. Navy, and we had to check in there first. Two of us were assigned to the bar from 1:00 P.M. until 1:00 A.M. of the following day. I had a great deal of practice with my Spanish, speaking with the locals and was able to prevent fights from getting out of hand. En route from the Police Station to the bar by taxi, our taxi ran out of gas (Cuban taxis bought gasoline when they were practically on empty, a little at a time.) Cubans in the street watched with amusement as U.S. sailors pushed the taxi to a service station. Much of the story, “Storm Warning,” is based on actual events. I was in a storm at sea, and it looked and felt as I describe it in the story. The incident with the Savannah policeman happened exactly as described. The incident that gave rise to “Witch’s Brew” was my altercation with a waitress who brought the hot turkey with gravy, potatoes and vegetables instead of the simple cold turkey sandwich. The rest of the story is pure imagination; the characters just took off on their own accord while I wrote. “Initiation” and “Shame” are based on my own childhood experiences. “Persuasion” is based on my experience teaching high school Spanish. The female student is a composite. “A Time to Reap” is based loosely on the experience of a Navy man, as told to me on watch one night. The physical background of “The Enigma of Reginald Savage,” in Buenos Aires and in Fredonia, N.Y., is entirely real, as are many of the people in it (Shand, Sorrentino, Borges, Gerda Morrissey and, of course, myself); the events, however, are entirely fictitious, as is the “American writer” with three names. The technique of making a piece of fiction appear to be a factual report, footnotes and all, I learned from reading Jorge Luis Borges (whom I met several times and interviewed). “Going for the Gold” (a story that is not based on the 1950s) owes its existence to two factors: (1) I had been thinking of the irony of some men who watch the Olympics (and football games and other sporting events) with great enthusiasm and an identification with the participants, while they themselves are out of shape couch potatoes, rather than participants in sports; (2) Two of my three sons worked summers at the local ice-cream plant, between college years; they described the conditions to me and thought how lucky they were that it was not their permanent career. Of course, material was taken from a couple of television commercials as well, but the main thrust of the story was invented by the protagonist once he was created. He just took off and created himself. The kernel of truth in “Nostalgic Journey” comes from a letter, written in Italian, from an Italian to a local friend of mine. The man and his wife, who live in Florence, visited a town that had romantic associations for them because of a trip there years earlier. They were disappointed by conditions in that town. “Charisma” is based on nothing more than my memory of a drum majorette leading the marching band of Ferris High School in Jersey City over a half-century ago. “Wax Apples” is pure invention, although the characters resemble people I have known, but most of the other stories have only the most tenuous connection to reality. Once Upon A Decade is a treasure-trove of small -- but highly polished -- literary gems of great depth and variety. The author seems capable of creating whatever mood he wishes, sympathetic and not-so-sympathetic characters unusually richly drawn, evoking a complex web of emotions: tension and heartache, love, hope and beauty, longing, fear and loathing. Some of the stories contain elements of humor and quite a few involve action and adventure, but one of the more surprising aspects of this short story collection is the wide variety of characters and settings for these tales, despite their unifying milieu: the 1950s. The author's gift is that he is equally adept describing the desperation of an attractive young striving actress in Hollywood, the friendship formed between sailors of different races (with a growing realization by the white sailor that irrational prejudice could put a damper on an evening's plans), the desperation of a blue-collar worker with an abusive streak and delusions of grandeur, and the ennui and loneliness of a woman unwilling or unable to admit a failed sham of a marriage. These are only just a few of the many interesting personalities we are confronted with in this collection. Just as fascinating are the mix of settings and predicaments the protagonists on these pages must come to grips with, whether it is the curse of a waitress on her customers, the bar/brothel of a Cuban refuge for American sailors, the angst and uncertainty of inexperienced love and infatuation, the just desserts for an unfaithful public servant, or the mystery of a now-deceased author's choices of subject matter and an apparent denunciation of his own identity. The author has managed to both entertain and produce stories that are deserving of further thought and analysis, for there are multiple interpretations in many of these stories, which cannot be easily forgotten.